MOTIVATED SELLER!! BRING AN OFFER! 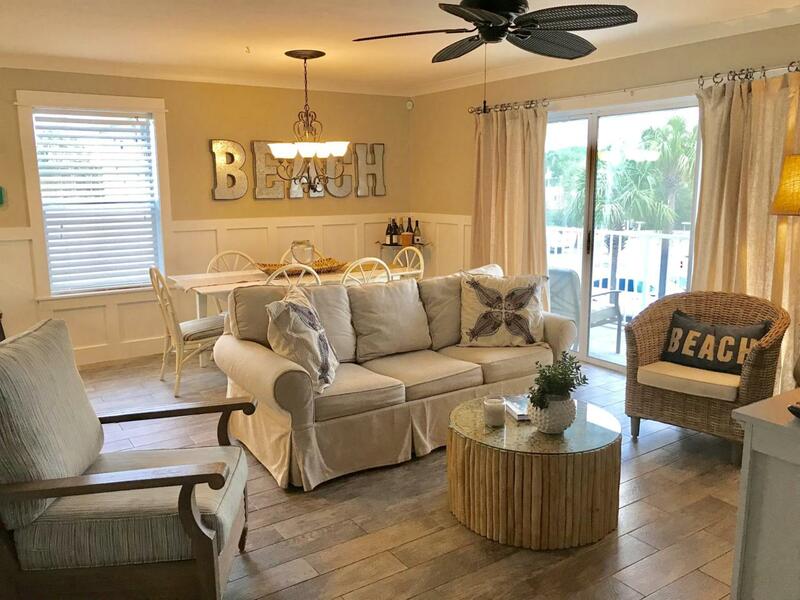 Come see this hidden gem located south of 30A in the Beachside Villas community.Completely remodeled located in building 4 directly across from the heated pool. Granite countertops in kitchen with oversized stainless sink and appliances. Wood like tile floor throughout including baths and bedrooms. Both baths have been totally remodeled with new tile in the master bath and new vanities. The deeded beach access is short walk from the condo, literally a stones throw to the beach. The community is well maintained and boasts two large swimming pools. There's also Tennis courts, shuffleboard, and community grills. Very reasonable HOA fees of $420 which include basic cable and internet. BRAND NEW HVAC units were installed inside and out in October, 2017.